Jochen is a qualified lawyer and has been working in the financial industry for more than ten years, building a strong reputation in investment banking and alternative finance. He is also Editor-in-chief of ComplianceManager.Online, a leading platform for news and analysis on regulation in the financial industry. 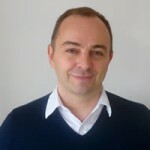 Jochen Heussner is CFO and member of the board of Ztudium. Jochen has been working for more than ten years in Germany, France, Italy, the US and UK with international law firms, and financial institutions such as Citigroup, Fidelity International and Royal Bank of Canada. Jochen has a focus and expertise on legal subjects, management, international relations, and strategy consulting. He is a qualified lawyer, and holds a law degree from Università degli Studi di Parma, and a Master’s Degree in International Law by the University of Giessen in Germany.